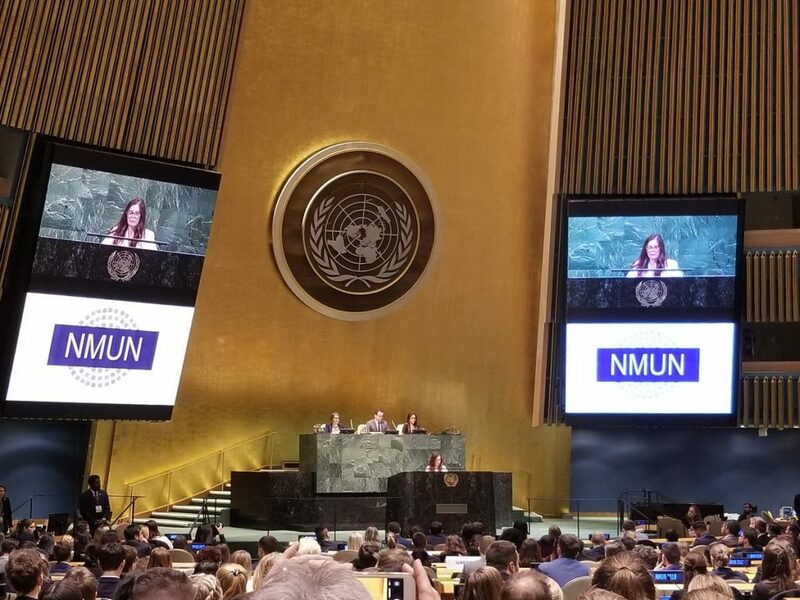 The National Model UN conference is held annually in New York City. This year, 20 students took part in Wright State’s program, representing Poland. Wright State’s team was one of 27 schools to receive an Outstanding Delegation Award, the highest recognition possible. “We’re very proud of the program we’ve created and maintained,” said Vaughn Shannon, one of the team’s faculty advisors and an associate professor of political science. Political Science 4860, Model UN Seminar, is a class that students must officially enroll in during the spring semester, although the course begins in the fall. Interviews take place to pick the students that will take part in the course. “We have a rigorous interview process,” said Shannon. Meetings begin to start preparing for the competition. To help prepare incoming students, Shannon and co-advisor Liam Anderson pair students together for guidance and support. “We have a mentoring process where we have returning veteran delegates get paired with a new junior delegate and they operate as a team,” said Shannon. The Model UN team also visits and takes part in other conferences in preparation for New York City. DAYMUNC, held at Sinclair Community College, is a local conference that the team visits. The program is hoping to find ways to finance its continuity. “The biggest threat is lack of funding… so the worst thing that could happen is we can’t go because of no money,” said Shannon.